New Orleans Later in April a hearing officer for the regional office of the National Labor Relations Board covering Chattanooga will determine whether or not things like the Governor’s contingent promise to provide Volkswagen with $300 million in tax benefits and subsidies to add a new production line only if workers voted against representation by the UAW was illegal interference with the election. 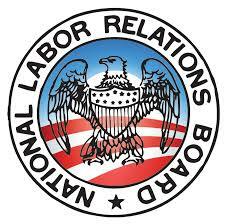 The NLRB’s responsibility is to assure that “laboratory conditions” guaranteeing a fair election workers free of coercion, inducements, and other interference. Companies and others will argue that their freedom of speech should allow them to throw whatever rocks at the election they feel like slinging. There’s no question that you can no longer divorce a workplace election from the larger community, but whether a governor can try to dangle a big bribe to influence the vote is an important question. It is easy to see the National Collegiate Athletic Association, the NCAA, walking that line right now in the run-up to the union election coming for football players at Northwestern University outside of Chicago. Out of one side of their mouths they are saying essentially that the union election doesn’t move them, and out of the other side of their mouth they are saying it is the end of collegiate sports and they’ll change. More to the point the NCAA and its leaders are claiming that after years of dithering around on the question of whether or not athletes should get any share of the huge revenue in big time basketball and football, that they are about to punt the question over to the big conferences give them the autonomy to pay athletes more if they want to do so. In essence the NCAA is making the standard company claim in a union election that if you stick with us, then change is coming. More sober observers point out that the NCAA “sky is falling” claim is full-blown Chicken Little. The NLRB ruling only effects private universities as private employers of athletes for example, and in big time sports that means places like the Northwestern, the University of Miami, Notre Dame, the University of Southern California, Tulane, and others, but doesn’t touch public universities which dominate the SEC, Big 10, and Pacific conferences where the top football contenders rule. In basketball there’s more competition with smaller, private schools, like Duke, Marquette, and others, but it’s still publics with UConn, Kentucky, Florida, and North Carolina that often rule and are outside of NLRB jurisdiction. Interestingly, it might even be easier in some of the states to organize under public sector union rules, but someone will have to move in that direction first, so we’ll have to wait and see. Either way it’s impossible to feel sorry for even a second for the NCAA. While schools make billions young men – and women – play for pride and the old school tie, get hurt, get cut, and get nothing. If the NCAA cared for a minute about the educational enterprise they might just step back and stop their whining and let the young folks figure this one out without all of this adult interference. Heck, even Nike, surprisingly, came out for the right to organize. Yes, that’s not the right to unionize, but it’s something. Let’s go with the “laboratory conditions” for workers. Let a bit of democracy into the mix. The kids will be all right. 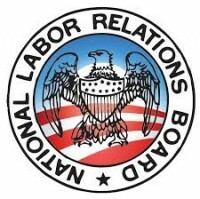 This entry was posted in Citizen Wealth, Financial Justice, Labor Organizing and tagged National Labor Relations Board (NLRB), ncaa, unions, Volkswagen by Wade. Bookmark the permalink.